To provide the highest quality of emotional, physical and spiritual support with compassion and respect. HCP envisions a community that embraces specialized care at the end of life with the same importance that is given at the beginning of life. Started by a small group of individuals in 1979 concerned about care for the dying, our agency was one of the pioneers of the hospice concept nationwide and the first hospice in Central Pennsylvania. In the mid 1990’s we responded to patients requiring more support than they could get a home, but who still wished to remain in a home-like setting. We opened Carolyn's House, HCP’s hospice residence in Harrisburg in 1996. This six bed residence, located on a serene, wooded setting, is the first and only stand-alone hospice residential facility in Central Pennsylvania. Our caring and supportive staff and volunteers serve all of Cumberland, Dauphin, Perry and Schuylkill Counties. We also serve northern York County and areas of Adams and Lebanon Counties. 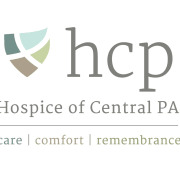 Hospice of Central PA is an independent non-profit, community based organization. We work closely with hospitals and other health care facilities. Our agency is a United Way Program Partner with United Way of the Capital Region (www.uwcr.org) and United Way of Carlisle and Cumberland County (www.carlisleunitedway.org). We also receive funding from the Carlisle Area Health and Wellness Foundation (www.cahwf.org). In addition, we enjoy a broad range of support from individuals, corporations, churches, private foundations and other organizations. Would you recommend Hospice of Central Pennsylvania?